Here are a couple of recent purchases that I’m currently obsessing over. All on crazy sale too! Tweed jacket from Ann Taylor Loft – in love! 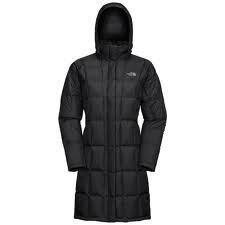 Northface Women’s Metropolis Parka – yes I bought a winter coat when it’s 91 degrees out. It was a great deal! I FINALLY bought a chambray shirt. This one fit perfectly and the price was right! I also purchased a grapefruit candle from Gap that I’m pretty pumped about. D.C. becomes a ghost town during Memorial Day Weekend and it’s fun to be some of the only people left behind for a staycation. 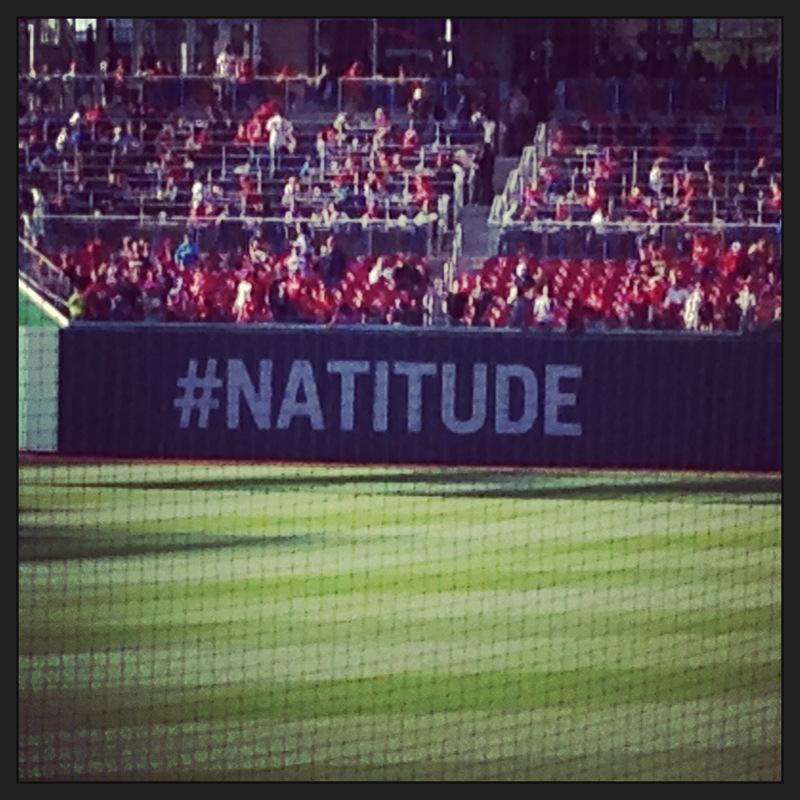 I didn’t have a whole lot planned for the weekend other than a Nationals game and sleeping in for three straight days in a row. I didn’t have any long runs planned, I thought about going on a bike ride with Justin, but we drove to Bethesda instead to run our errands. I did try a Barre Assets class at Crunch and really enjoyed it. I only went once to Bar Method with Stephanie, but really enjoyed it the time I went. When the Barre classes began at Crunch, I was looking forward to trying one. I liked the class overall, I found it challenging, but the Bar Method class I attended months ago had my legs shaking SO much more – which feels like a bigger challenge in that regard. The class was a good overall body workout, the teacher was good and I liked the vibe of the class in general. I haven’t figured out yet when it will fit in my schedule, but I hope to go back again soon! 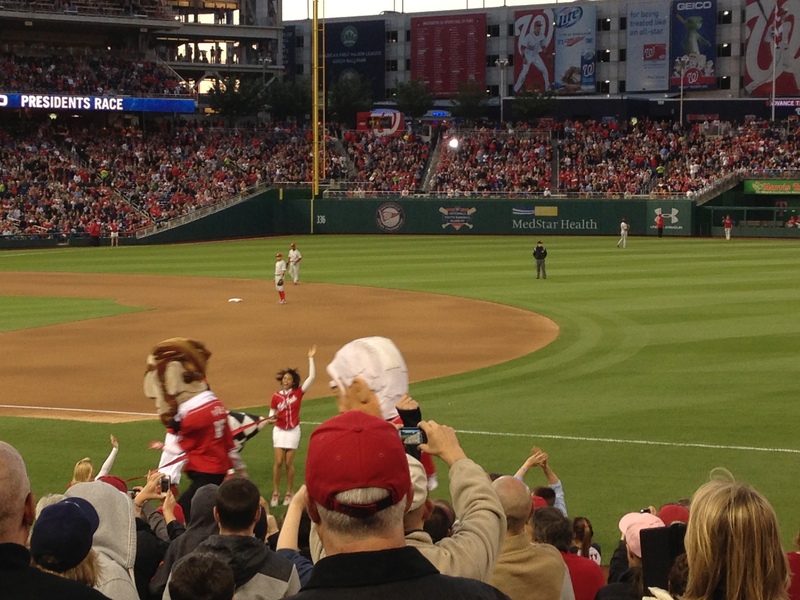 On Saturday night, we went to the Nats game and made sure we were one of the first 10,000 people to arrive to receive a Nats lunch tote! 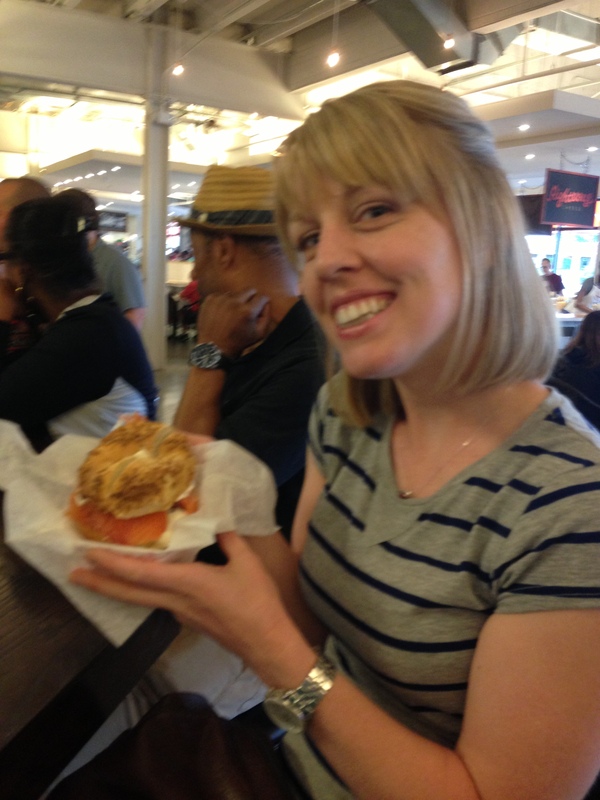 Actually, our early arrival also meant that there was hardly any line at Shake Shack! We took advantage of that and scarfed down cheeseburgers and cheese fries. Love those crinkle cut fries! The President’s Race – Abe won! On Monday, I went to the pool with my sister and family. The weather was a bit warmer and we knew that the pool would be heated. 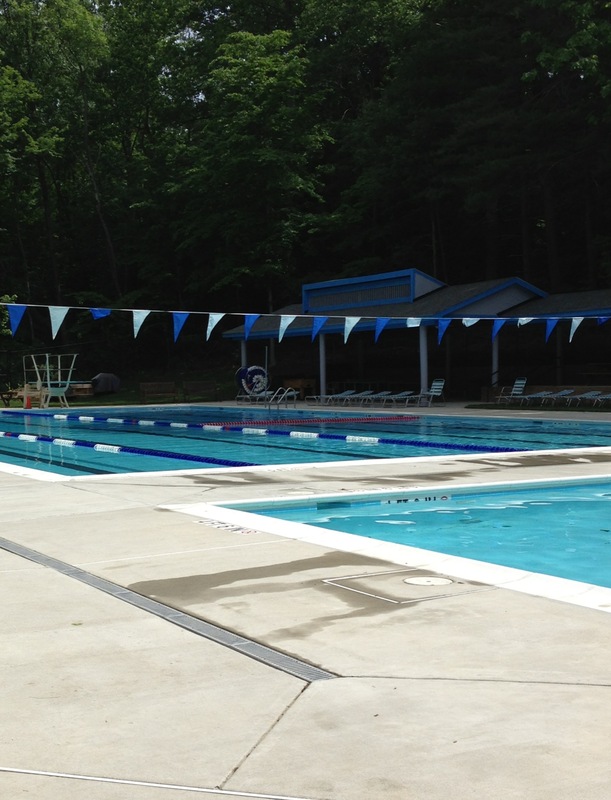 We had the whole pool to ourselves – a combination of arriving at 10:30 when it opened and nobody else really wanting to swim in the still chilly weather. 80 degree water is still coldy! 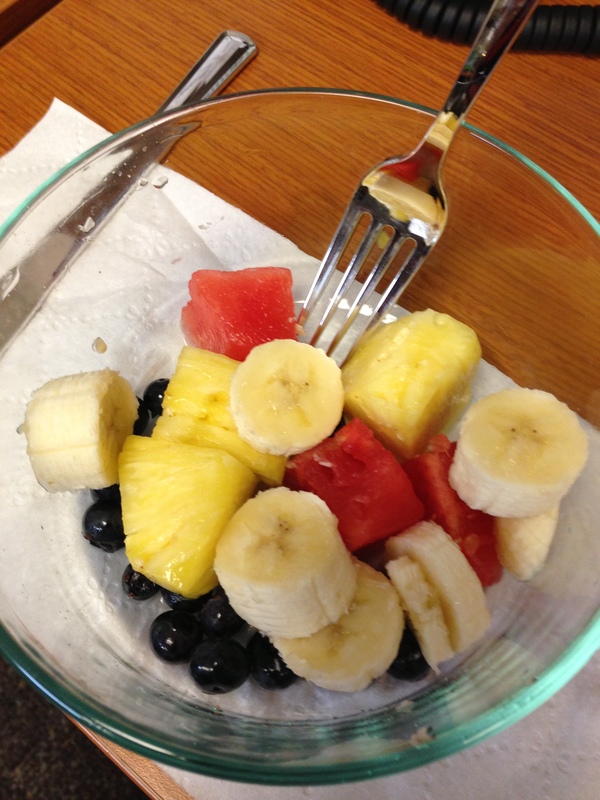 The past two mornings I’ve been making my own fruit salad and bringing it to work. It’s a great second breakfast – after my Cheerios. This week is a short week for me, we are heading to PA for my brother in law’s wedding on Saturday. I’m looking forward celebrating with the bride and groom and the rest of Justin’s family! I ventured back to Fuse Pilates tonight after Emily made a instructor recommendation (plus I still had my second class to use in the 2 class package I had purchased). The class was a great workout and the instructor was hilarious. Like laugh out loud funny – and yes, people were laughing out loud during class – I kid you not. It was a good thing there were all women in the class, because she really touched upon some female-only topics during class. Luckily, I’m a big fan of TMI 🙂 plus it was a great distraction while we did a million reps of every exercise. We worked our abs, backs and our thighs. Muscles will be burning tomorrow, that’s for sure. It was also really great to attend a class there that was packed and energetic. There were a ton of regulars who chatted with the instructor throughout class and it had a real community feel. Overall the class was SO MUCH better than the first class I took. I’ve said it before on this blog, but the instructor really does make the difference. I’m so glad I gave it another go and I know I’ll be back to Fuse again. And there was a bonus at the end of class – I met Emily! She was super friendly, just as I would have expected of course. It was nice to meet her in person after reading about her sweaty adventures for so long now. I am now determined to get her to try Bar Method before she’s on the pavement racking up PRs again! My cherry addiction is moving along full steam ahead, especially now that the weather is warmer and there is a huge stack of cherries that greets me every time I walk into Whole Foods. They are just so freakin’ good and the perfect post-dinner, sweet snack. I only wish there was a less spitty (not a word but whatever) way of eating them. 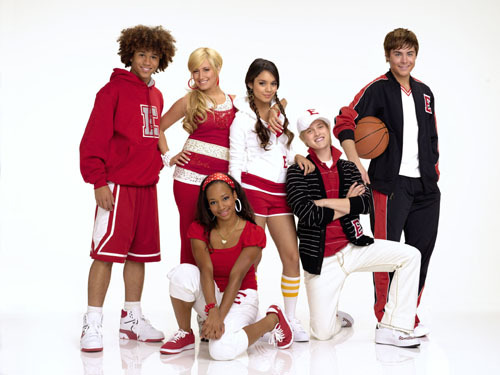 I am watching High School Musical right now and kind of miss young Zach Efron and Vanessa Hudgens and their teen love. And yes, I just admitted to watching the Disney Channel (happy now, Ally?). Since I was pretty unplugged this weekend (with the exception of a few Instagrams), I don’t have may pictures to share from the weekend, but that doesn’t mean it wasn’t fun and relaxing. From the shore we headed north to Hoboken, NJ for a visit with my sister and her husband and of course, their puppy Charlie. We went out to dinner in Hoboken and then just stayed in. The weather was super crappy with crazy wind and nasty rain and it was much nicer to be snuggled up in our pjs watching a movie then out and about. We were also able to look at all the wedding photos that my sister had just received. What a treat! I loved them all. The next morning we hit the road for Haddonfield, NJ where Katie’s parents live for some pool time and some BBQ. It was so laid-back and relaxing and such a great time. We hit the road back to D.C. around 2pm on Monday and made great time and I was able to do a few things around the apartment and prep for the week. Before leaving Hoboken, we went to Rush Cycling for a spin class. The studio was a little hard to find but once we made it there we had a beautiful view of the NYC skyline during our ride. 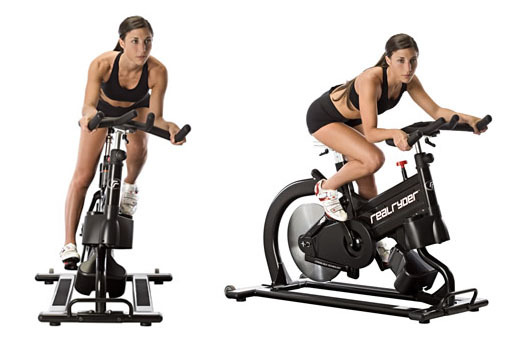 The bikes were very different than a normal spin bike – they moved A LOT. It was just like riding a road bike! And it definitely made the ride more challenging. My arms and chest were sore the next day…while my legs were not. Not the typical post-spin feeling. The instructor was good (and apparently the owner) and very welcoming and it was a tough and sweaty 50 minute workout. While in Haddonfield we went to a Zumba class on Monday morning that might have been the most challenging Zumba class I’ve ever taken. The class was completely packed and three different instructors rotated teaching the class. The music was pumping and super loud and the atmosphere was definitely energetic. I thought the class was 45 minutes or an hour but it ended up being an hour and 15 minutes. Holy, sweaty mess! I had never heard any of the songs we did and didn’t know any of the choreography but it was a lot of fun and a great workout. While in Hoboken, we lounged around and went out for dinner at Little Town. (Any Real Housewives fans out there?) We split the “Fried Mutz” and rice balls for appetizers and Katie and I shared the market salad, which was a grilled romaine, and some steak sliders. It was all delicious! They only serve local beer and wines, which was kind of cool, and all the items on the menu were named after places in NJ. Plus, it’s on Sinatra Drive! Home sweet home. Post-spin we stopped at Hoboken Hot Bagel for everything bagels with veggies cream cheese and some iced Dunkin Donut coffees. It was the best breakfast and eaten outside in some beautiful sunshine. In Haddonfield, Katie’s parents whipped up one delicious meal after another. For a quick lunch we had some shrimp with olive oil, S&P thrown in the oven. So good! We also had some delicious bruschetta. Dinner was a juicy cheeseburger topped with mushrooms and onion, pasta salad and green salad. It was all amazing! We finished off our meal with a cherry dessert that wasn’t quite pie but wasn’t quite cake but it sure was delicious – especially when topped with vanilla ice cream. Yum, yum, yum! Post-Zumba, her Dad whipped us up some tasty smoothies that were super refreshing. I need to get back to making my own – it’s too easy not to! Even though we traveled about 8 hours in the car, the driving time wasn’t that bad at all. We amazingly didn’t hit traffic except for a bit on Monday coming back to D.C. Miracle! It was great to go home for a bit and see family and just relax. We slept a lot, ate great food and sat out in the sun, plus we squeezed in two great workouts. 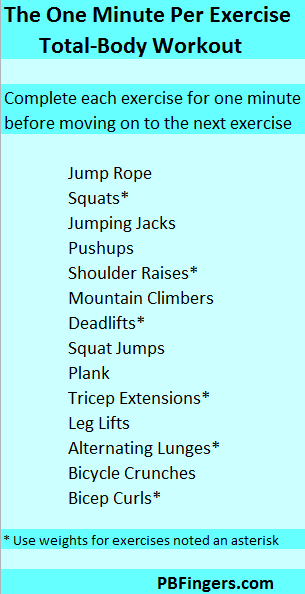 Monday – Nike Boot Camp – Circuit workout completed. Let’s see how it goes! I might change my plans on the weekend. We shall see. I hope everyone had a wonderful long weekend and that everyone took a moment to honor those who paid the ultimate sacrifice for our freedom. Friday’s workout: Home sick with a fever – it was weird! Sunday’s meals highlight: Literally everything! With Memorial Day around the corner, I’ve been thinking about a summer bucket list. I haven’t come up with much and most of it is DC-centric, but I think it’s all fun stuff that I’d love to do with friends. Who’s in?! Anyone else have some fun summer bucket list items I should add? What are you looking forward to this summer? That time Nike boot camp was full. To help out victims of the Oklahoma tornado, visit the Red Cross. After falling asleep on what felt like the longest bus ride ever, I got to the Nike store in Georgetown at the same time my friend arrived and we discovered that the boot camp was full. Our other friend had made it in just a few minutes beforehand. I can’t wait to hear how she liked the boot camp. We weren’t the only ones turned away from the door, there were a ton of people showing up and being rejection. I guess a lot of people were ready to kick off their week with a nice, sweaty workout. My friend and I walked back to our ‘hood and I made the decision to hit the gym for a quick circuit workout. Our 30 minute power walk definitely got me all warmed up (hello, humidity!) and I got right down to Julie’s One Minute Total Body Workout. It took me about 30 minutes to complete (with a few rests in there) and it was a tough one and went by super quickly. I’m glad I squeezed in a workout last night, even if it wasn’t the one I had originally planned to do. I sipped one of my Whole Foods green juices when I got home. It sure was tasty! It was the Green with Envy – pear, kale, cucumber, pineapple, spinach, broccoli, parsley and lemon. Delicious and refreshing! I also managed to roast some brussel sprouts (though I did put a ton of salt on them by mistake…I thought it was the pepper shaker! ), boil some eggs, and cook a bunch of turkey burgers. Food prep for the week, just a day late. Does anyone else cry when they see the Target commercial with home videos of students getting accepted into college? It seriously gets me every time. Check it out here. Am I the only person who doesn’t want to see The Great Gatsby? It’s been too over-hyped for me. Who wants to go see the new Star Trek instead? Jessica is literally one of my idols. I want her to come to my apartment and cook for me allllll the time. I would weigh 400lbs but it would be worth it. I need to make this salad soon. Perfect for all this humidity. A friend posted this on Facebook and I thought it was a really interesting read. Check it out – Our unrealistic views of death, through a doctors eyes. Tuesday’s meals highlights: Tacos for dinner! As I mentioned on Friday, my friend Kim came to visit for the weekend! We went to Union Market had some breakfast at Buffalo and Bergen. 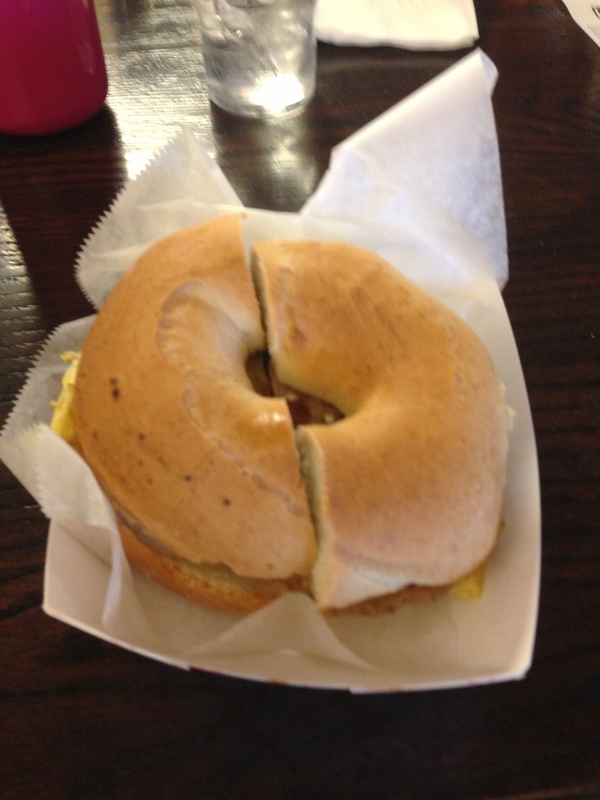 I really did enjoy the bagel, but the service was sub par. 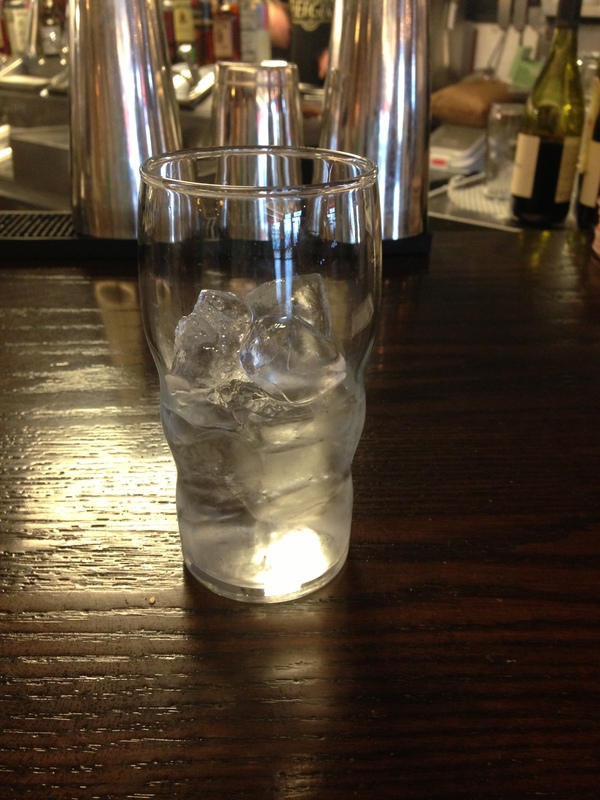 We ordered water and they gave me a glass that looked like someone had already had half of already. It took a little long to get our bagel sandwiches which was a little frustrating because it didn’t feel that busy, but I also realize they are cooking on what looks like 2 – maybe 3 hot plates. After taking a quick stroll around the market, we headed home and relaxed a bit before the big event of the day: Bite of DC. We took the metro to the Navy Yard station and walked a few blocks to the waterfront for the event. We were some of the first people there and got in line. We had to wait in line maybe 5 minutes before they opened up the event, we stood in the rain, but as we moved through the line, the rain was slowing down. The event was in a grassy field and as soon as we walked in, I realized I just had to embrace the wetness and mud. We received a wristband with tabs with each of the 5 restaurants participating – when you get food from that vendor, they rip the tag off your wristband. 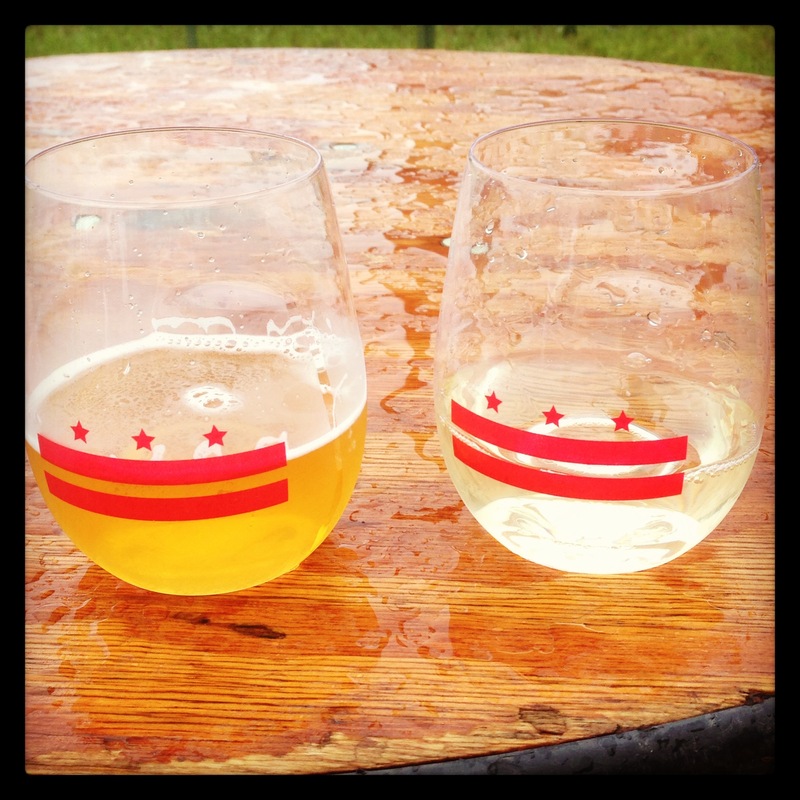 We also received these adorable DC flag wine glasses to taste all the different wine/beer of the day. The first “bite” we tried was Luke’s Lobster for the lobster roll. I’m not a huge seafood fan in general, but I wanted to give it a fair chance. I tried it, and thought it was ok. I liked the buttery roll a lot, but gave Kim most of the lobster to eat. We got there at the perfect time and really didn’t have to wait in many or any lines. 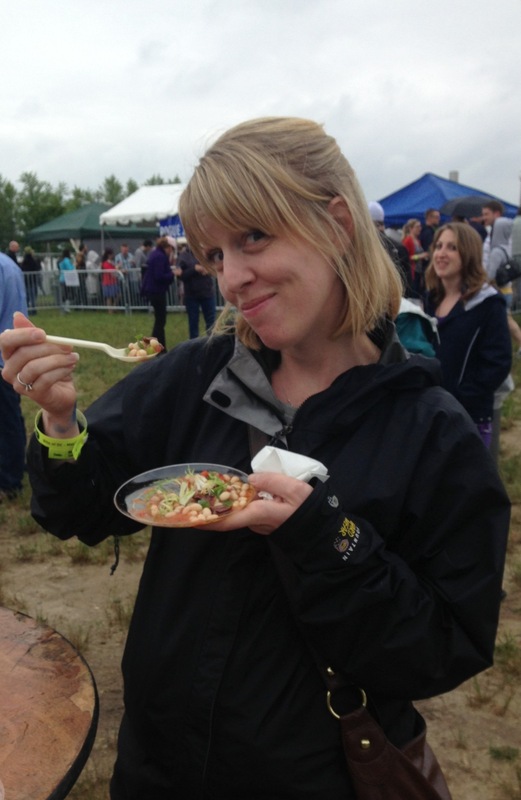 And not only did they have wine and beer stations set up throughout the area, but they also almost always had a wine/beer choice after you picked up your food sample. It was great placement because we almost always needed a re-fill after getting our food. 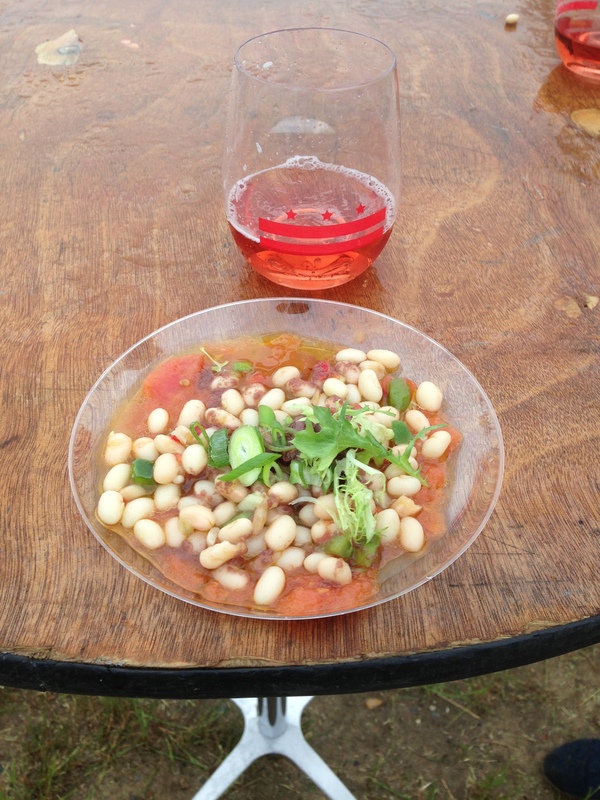 Next up we had a white bean and tomato salad with olives from Jaleo. Served with a rosé, of which I was a big fan. 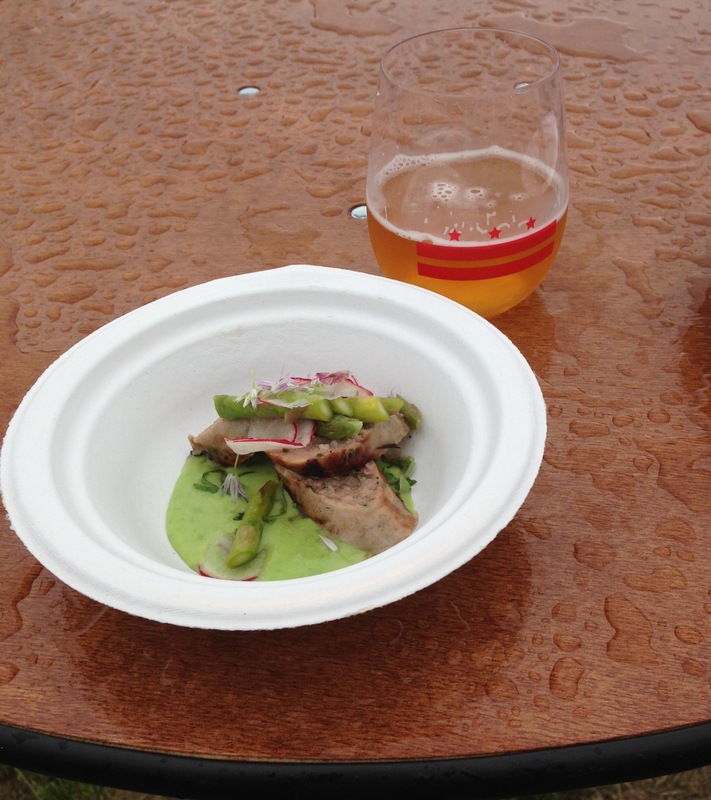 Then we tried the grilled rabbit sausage in an english pea cream with pickled asparagus from Cedar. I liked this one the best, probably because it was the most filling and interesting taste to me. 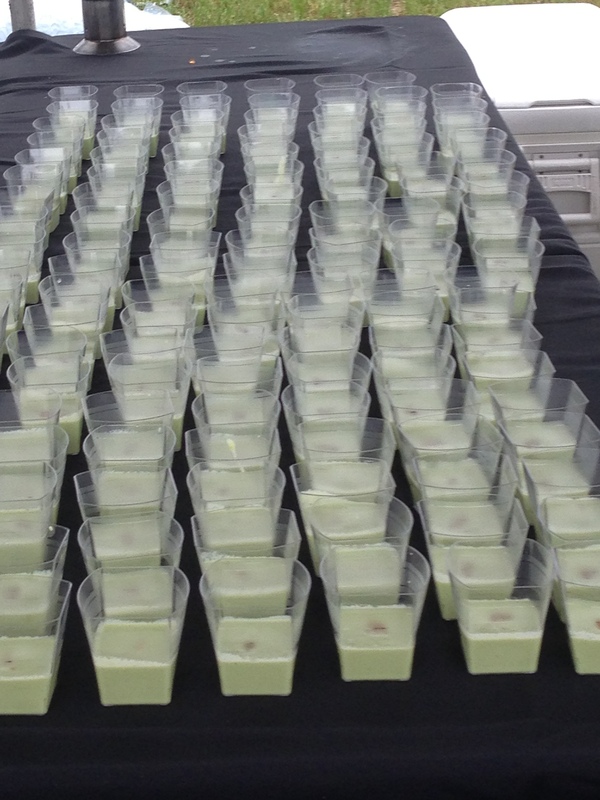 Our last dish before dessert was a cucumber soup with smoked trout roe from Rogue 24. 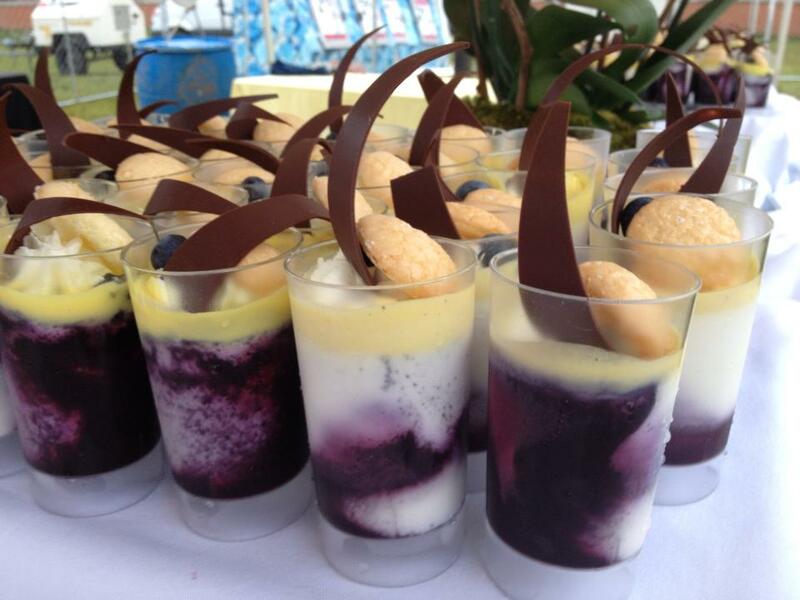 For dessert we had lemon creme with blueberry and a small cookie with a chocolate garnish from Windows Catering. I completely forgot to take my own picture, so here is one I stole from the Bite of DC facebook page. I would have gone back for another one if I could have! In addition to the food and drinks, there was also a live band, bear pong (yes, bear, with big pails instead of little cups), bocce and corn hole. 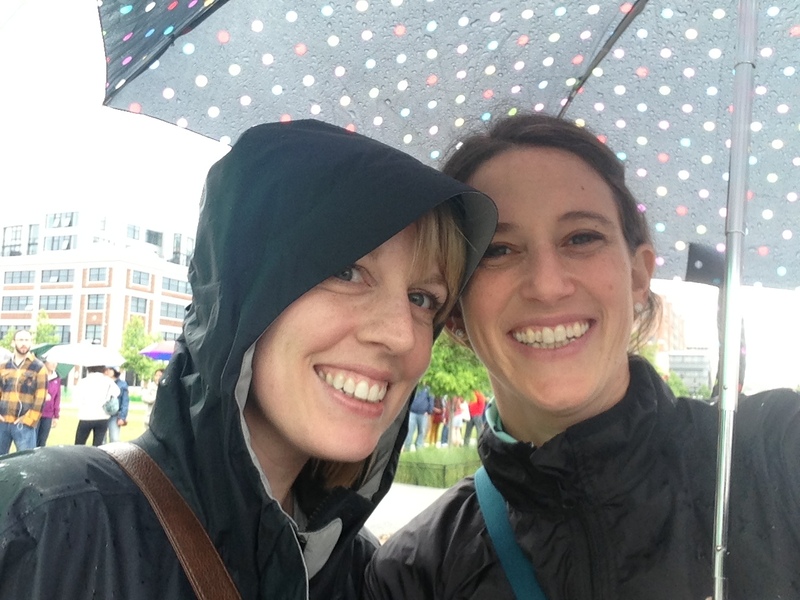 The rain stayed away the whole time we were there and it was a really fun experience to share with Kim! We definitely had a favorite wine we tried and now I can’t remember the name of the vineyard – it was a perfectly buttery, oakey chardonnay…mmm. Already looking ahead to the long weekend and my short week next week…3 days since I will be off Monday and then Friday for my brother in law’s wedding! See you soon Memorial Day. The SIDI is back this week. I have kind of fallen off the workout bandwagon lately and I really want to get back on track this week. I’m really excited to get back to yoga this week and am looking forward to some morning Bar Method classes. I always manage to get out of bed for those 🙂 It’s another week chock full of plans but with a relaxing 3-day weekend ahead, I know I can push myself this week. Has anyone tried the new fresh-pressed juices at Whole Foods? The Whole Foods right by me does not have a juice bar (like every other blogger in the world seems to have) but maybe they’ll put one in soon if their juices gain popularity. I purchased two green ones to try this week. At $6.99 a bottle, they better be tasty! Addy told me that Starbucks is also hopping on the juicing train. I’ll have to check them out the next time I’m in a Starbucks. Anyone give those a go yet? That’s all I’ve got in my world today. Well if this doesn’t qualify as a rambling post, then I’m not sure what does. What’s shakin’ out there? It’s Friday – just like every Friday, I’m so happy the week is coming to an end. I’m so looking forward to this weekend because my dear friend, Kim, from elementary/high school is coming to visit!! She lives in Pittsburgh, so she is not too far away, but we haven’t gotten together for a weekend in a while. She also has the most adorable almost 2 year old. He is not coming along for the trip, in fact this is her first time away from him overnight, so I’m totally flattered that she is spending it with me! 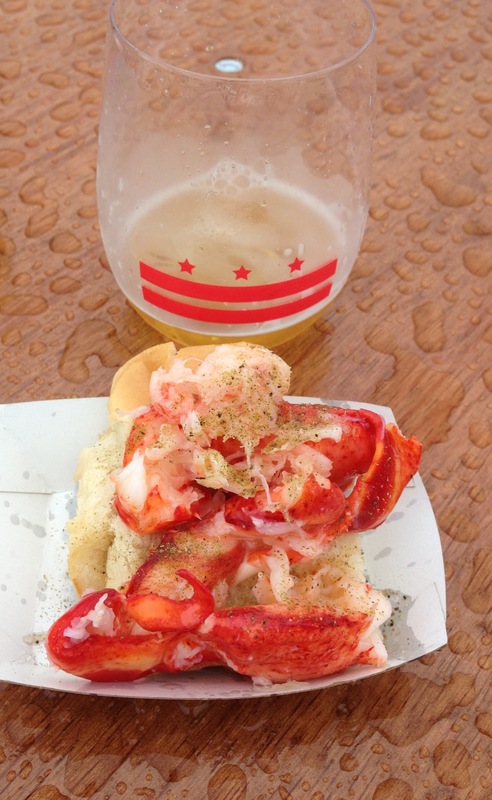 I haven’t figured out our full itinerary yet for the weekend, but I’m hoping to check out Union Market tomorrow morning and then tomorrow afternoon we are going to Bite of DC at Yards Park. The Preakness is also tomorrow and I’m currently deciding on my bets. I feel strongly about Orb winning and I also really want to see Rosie Napravnik do well on Mylute! I realize that I might miss the race since we’ll still be at Yards Park, but now that I have an iPhone, maybe I can watch on that?! 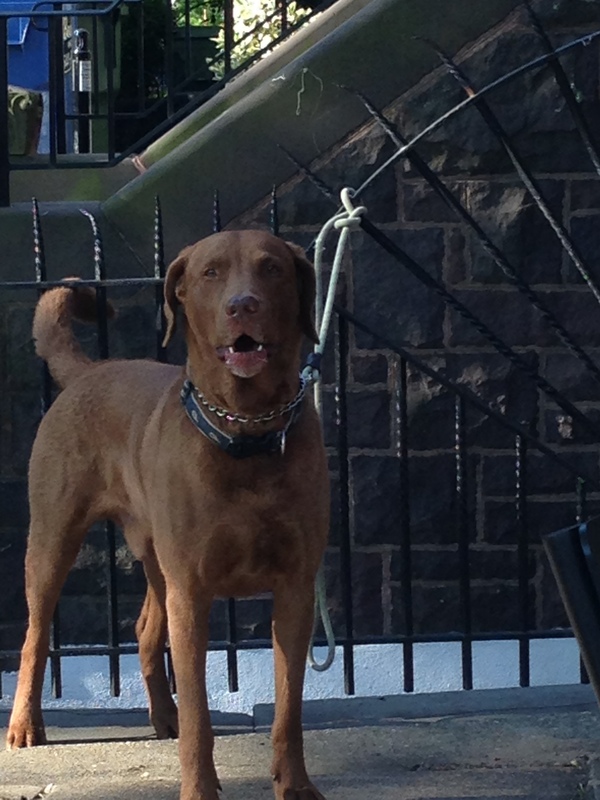 Here is a picture I took this morning of a dog I thought looked so happy. I would never consider myself a dog person – I am a self proclaimed cat person, but I know Justin really wants to have a dog and one day we will. At this point, we’ll just admire on the streets. Peplum has been everywhere and doesn’t seem to be going away and I’ve been wanting to add a peplum piece to my wardrobe for awhile. I kept trying things on and they were just…too much peplum! I felt like most tops and dresses I tried on were extremely unflattering and it bummed me out. 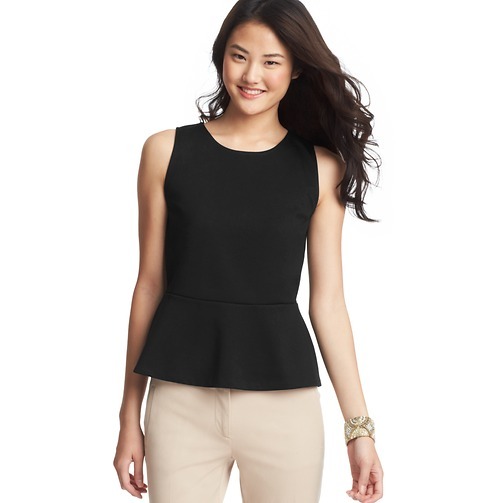 Well, I just purchased the perfect peplum top from Ann Taylor Loft and I love it. 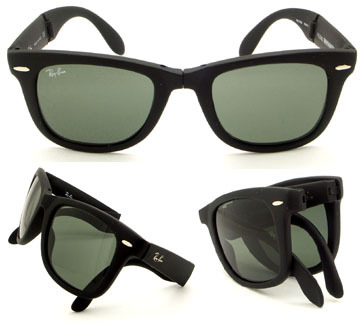 It’s flattering, a nice thicker material and versatile. And hello, under $50. 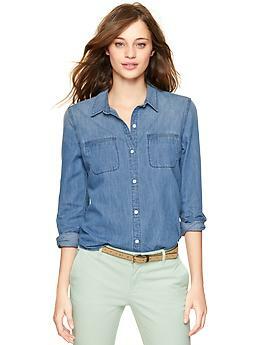 Plus Ann Taylor Loft is currently have a 30% off of everything sale. Woo! Hello, gorgeous! I wore mine with a black pencil skirt, statement necklace, purple cardigan and dark gray pumps. I do feel like the possibilities are endless with how to wear this top though. So go get your peplum on, it will be fabulous!